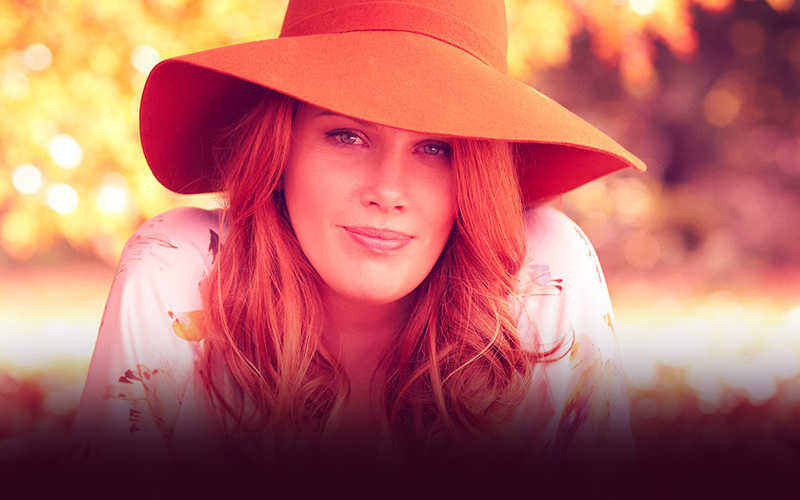 Clare Bowditch is giving you the chance to make the music video for One Little River. The brief is open to your interpretation, but the song encourages people to take massive creative and personal risks in life in order to do something that actually means something - so listen to the song and get creative! Deadline for entries is 20 March 2013, 23:59 GMT time. The winner will receive $5,000 and have their video used as the official music video for One Little River. The winner and finalists will be chosen by Clare Bowditch and Genero. It’s not like I was unhappy or anything. Just crying all the time. And extremely busy, what with the important task of carrying my sack of rocks through the world with me. My hippie GP sat me down, handed me a tissue and said “Clare, listen carefully. Your body is your best friend…but you treat it like a machine. It is giving you a message. The message is: put down the rocks. You were born to be happy – don’t you know that? ”Born to be happy? WTF? I’ve got a sack of rocks to organize lady!! I’ve got bills to pay! I’ve got a world to save! And now you want me to squeeze in HAPPINESS as WELL! And there I remained, for quite some time, trapped in my own little Modern Day Addiction. Don’t get me wrong: cerebrally I knew that good things were happening, all the time, every minute, and yet I couldn’t seem to take my eyes of the episode of “Warning TV!” that ran on a loop inside my brain (Spoiler Alert: “If I just pre-empt every possible disaster in the universe, right now, all will be well! Here’s what could go wrong! Here’s what ALSO could go wrong! Yay!”). And then one day, this punk called Leonard invited me to tour with him. Off we flew in his little jet, city to city, right around Australia. And there I stood, dark in the wings, night after night, soaking up the work of a master. This was The World According to Leonard, and I kinda liked it. No one could accuse him of writing the happiest songs in the world, and yet in his songs there existed a truth, and in his presentation of this truth there was a grace and a joy and an element of entertainment that reminded me of happiness. I can’t explain why - maybe it was something he said, maybe it was that bottle of Grange we shared on the final night of the tour - but I started sleeping a little easier at night. Also, I started listening to Dixieland music again. What I also discovered is that I am not the only one who carries around a sack of rocks, and regularly forgets that I can put them down. In fact, they’re not rocks at all: they’re just calcified fears, felted together through repetition. They don’t really belong on our backs; they probably belong in our backyards, as part of a garden feature or something. That’s where I’ve put mine anyway. So, my one-year empirical study into happiness has now spilled over into it's second, year, and I suspect this trend will continue next year and the year after that as well. For the record, I did not lose weight, make three million dollars, or find a unicorn (although I maintain my right to do all three, should I so choose… ) I simply stand before you today as someone who sleeps a little more, tours a little less, eats my veggies, stops to breath, sings under my breath, listens a little more, forgives a little quicker, and more than any of this, I chose happiness daily. And when I forget, please remind me, won’t you? And this too: as much as I would love to, I can’t make you happy – you will do that for yourself. I can, however, tell you a story or two, so that’s what I’ve done with this album. As always, I wish for you glorious dreams, the memory to write them down, and the resilience to live them out. May You Remember Your Happiness, and not stop searching until you have.